Join us for a walk, bike, or treasure hunt. 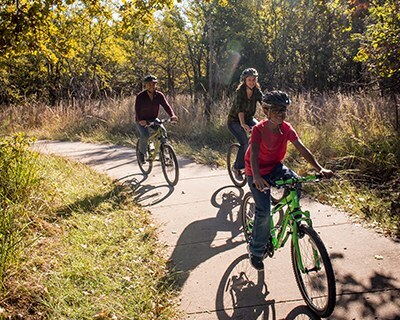 Your parks offer safe, healthy, outdoor fun for everyone. 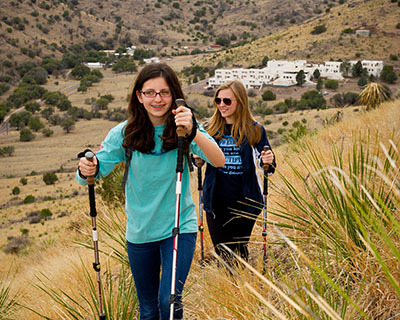 Walkers of all ages and abilities can get out on the trails, and Texas has a top-notch system. Our trails are some of the best places for first-timers and experienced hikers to enjoy America's most popular outdoor activity. 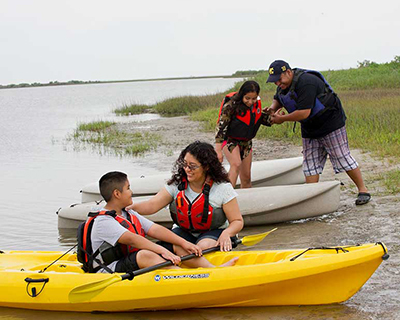 Volunteers play a vital role in the conservation and stewardship of Texas’ natural and cultural resources. By getting involved today, you can help keep your state parks beautiful, accessible and fun for current and future generations. 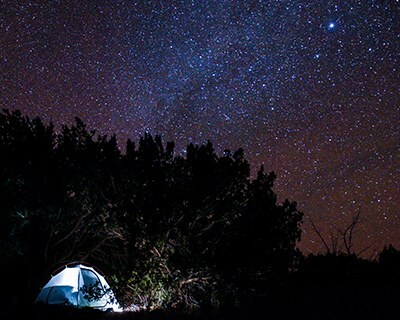 Enjoy the beauty of the night sky at a Texas State Park! Many state parks offer stargazing programs and nearby observatories. Riders of every speed, style and social group can pedal across parks. You don't have to be an expert, and you don't have to go far from home. Choose the routes, surfaces and distances that fit your comfort zone. Would you like to encourage people to explore the outdoors, and share why parks matter to you? 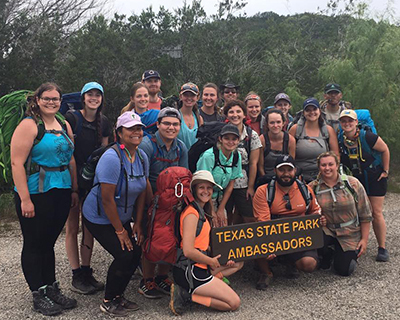 State Park Ambassadors make new friends and connect communities to state parks while supporting health and stewardship. 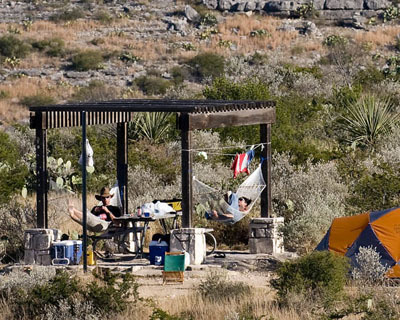 Making reservations early helps you book campsites, shelters, cabins and group facilities before everyone else!